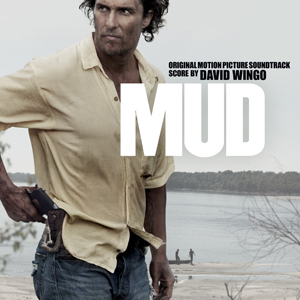 Mud is the second collaboration between Wingo and Jeff Nichols. Their previous film Take Shelter, won the Grand Prix prize at the Cannes Film Festival and landed Wingo a Discovery Of The Year Award nomination at the World Soundtrack Awards. Mud and David Gordon Green’s Prince Avalanche (co-composed with the Austin band Explosions In The Sky) both had their North American premieres at the 2013 Sundance Film Festival. Wingo has also been active with his band Ola Podrida since 2006, putting out two full-length LPs (Ola Podrida and Belly Of The Lion) with a new one due April 30th (Ghosts Go Blind). They have toured the U.S. and Europe multiple times and have shared the stage with such acts as Fleet Foxes, She & Him, Beach House, and Explosions In The Sky. Mud is an adventure about two boys, Ellis (Tye Sheridan) and his friend Neckbone (Jacob Lofland), who find a man named Mud (Matthew McConaughey) hiding out on an island in the Mississippi. Mud describes fantastic scenarios—he killed a man in Texas and vengeful bounty hunters are coming to get him. He says he is planning to meet and escape with the love of his life, Juniper (Reese Witherspoon), who is waiting for him in town. Skeptical but intrigued, Ellis and Neckbone agree to help him. It isn’t long until Mud’s visions come true and their small town is besieged by a beautiful girl with a line of bounty hunters in tow.